This is the 7th part of my set about Reported speech. 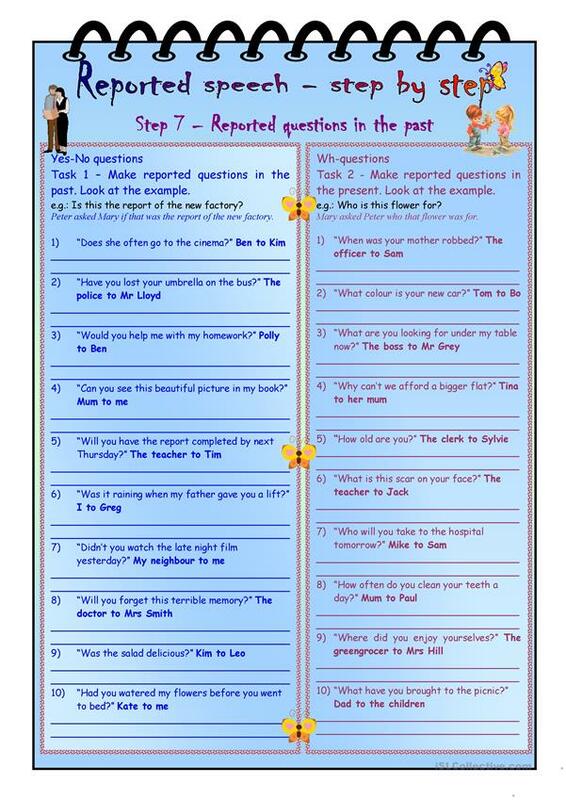 In this ws the ss can practise how to make reported questions in the past. There are 4 exercises in 2 pages. Key is included. There are cliparts from Philip Martin in it. Thank you Philip Roeland for the notebook style. 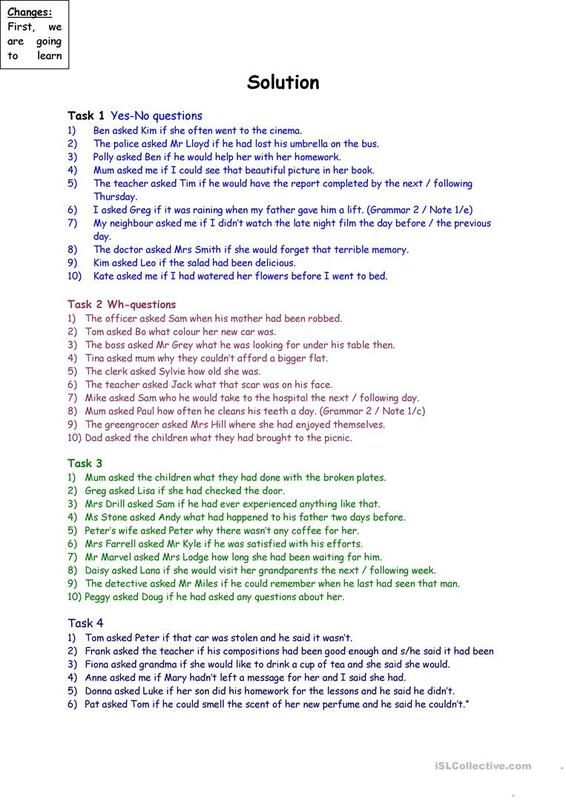 Hope you find this ws as useful as I did. The above downloadable teaching material is a great resource for high school students at Intermediate (B1) and Upper-intermediate (B2) level. 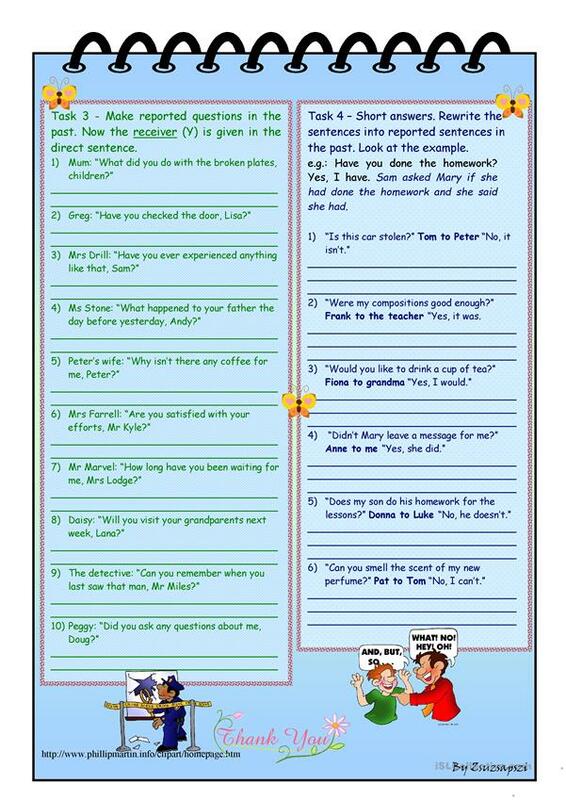 It is valuable for consolidating Reported Speech (Indirect speech) in English. The exercises come with the solutions.